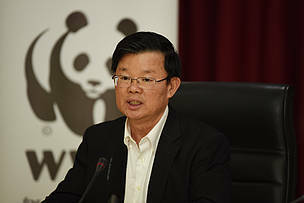 The Chief Minister of Penang, YAB Tuan Chow Kon Yeow shared his aspiration for Penang to be the “greenest” state in Malaysia by 2030, in his opening speech at the Earth Hour 2019 media conference in Penang. Georgetown: WWF’s landmark movement, Earth Hour (Saturday, 30 March at 8:30 p.m.), is set to once again unite millions of people around the world this March to show their commitment to the planet. As our one shared home faces the dual challenge of climate change and rapidly declining biodiversity, the world’s largest grassroots movement for the environment aims to mobilise individuals, businesses and governments to be a part of the conversation and solutions needed to build a healthy, sustainable future – and planet – for all. Having started as a symbolic lights out event in Sydney in 2007, Earth Hour is now celebrated in 188 countries and territories as a global moment of solidarity and action beyond just an hour for the planet. Online, #EarthHour, #Connect2Earth and related terms have generated over 3.5 billion impressions in the run-up to Earth Hour over the years, trending in 33 countries worldwide at night. The movement has been a game-changer for popularising climate and environmental action across the globe. As global biodiversity declines at an unprecedented rate, closer to home, Earth Hour 2019 takes on a localised effort of halting the loss of Malaysia’s rich biodiversity specifically to safeguard our freshwater supply in the northern region of Peninsular Malaysia. Penangites are in for a night that will raise awareness and inspire action for greater protection of the Ulu Muda Forest Complex (located in northern Kedah), where almost 80 percent of Penang’s water supply originates from. More specifically, this percentage of Penang’s water supply comes from Sungai Muda, which originates from deep within the Ulu Muda Forest Complex. At this year’s Earth Hour event supported by the Penang State Government, participants will take part in an hour of zumba or night yoga at Gurney Paragon Mall, Georgetown while simultaneously learning more about this forest complex. The Chief Minister of Penang, YAB Tuan Chow Kon Yeow shared in his opening speech at the Earth Hour 2019 Penang media conference today that by 2030, Penang aspires to be the “greenest” state in Malaysia. “For Penang to achieve this, we must walk the talk. To safeguard and conserve water catchment forests such as Ulu Muda, we must first make conscious efforts to reduce the amount of water we use daily. Domestic water consumption accounts for more than half of the total water consumption in the state,” he said. The Ulu Muda Forest Complex spans over 160,000 hectares and comprises seven forest reserves. It is a crucial water catchment forest for Kedah, Penang and Perlis. Apart from Penang, headwater of the rivers originating from deep within the forest complex provide as much as 96 percent of Kedah’s and 40 percent of Perlis’s water supply – fuelling the nation’s biggest granary area, the region’s economic growth, as well as its peoples’ livelihoods and well-being. Besides its essential role as a source of water, Ulu Muda is also a biodiversity hotspot. It is home to at least 112 species of mammals, including the Asian elephant, the Malayan tapir and the Malayan sun bear. It is also one of two sites in Malaysia where the rare plain-pouched hornbill is known to roost in large numbers – drawing a sizeable number of foreign tourists and avid local birdwatchers to the area. “To leave the forest vulnerable to threats would result in dire consequences for people and nature alike, which is why WWF is advocating for two actions to protect the forest: for it to be reclassified as a water catchment forest and established as a state park, ensuring conservation of biodiversity, the protection of the forest and its improved management, as well as the protection of vital ecosystem services it provides for nature and humankind,” said Dr Henry Chan, Conservation Director of WWF-Malaysia. It is therefore vital that we halt and reverse this loss of nature, by restoring the rich biodiversity – the variety of life on Earth and places where they are found – that underpins a healthy, natural world. We urgently need to turn things around to create a stable future for people and nature. **This Earth Hour on 30 March 2019 at 8:30 p.m., WWF-Malaysia invites you to #Connect2Earth and #Connect2UluMuda by participating in Zumba, followed by night yoga, at Gurney Paragon Mall, Georgetown. For a participation fee of RM65, you can take part in this Earth Hour event and receive an unbleached WWF cotton T-Shirt as well as a canvas drawstring bag. 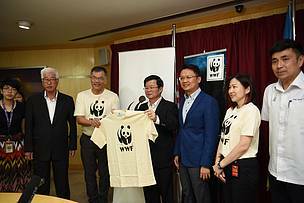 All registration proceeds will be channelled to WWF-Malaysia’s conservation efforts. Log on to wwf.org.my/earthhour for more details. 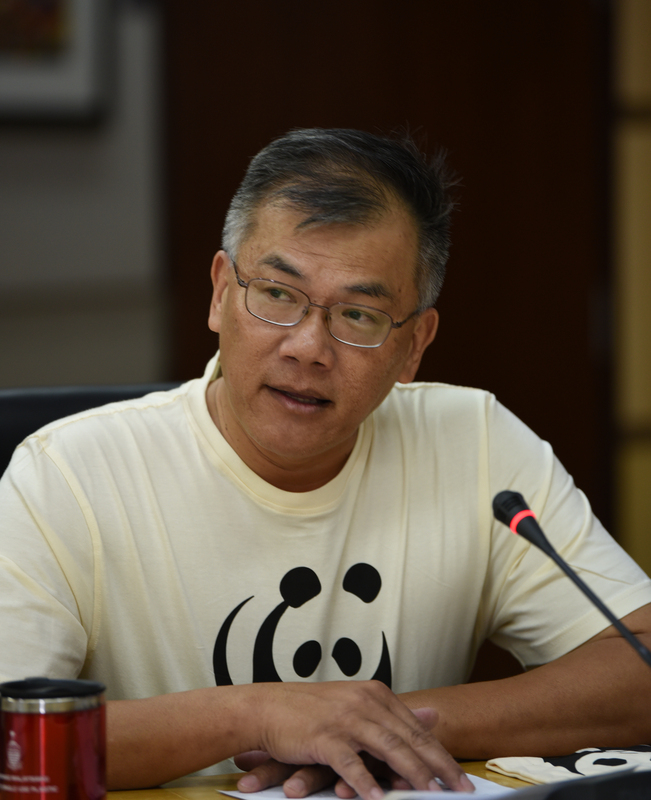 Dr Henry Chan, Conservation Director of WWF-Malaysia reiterated the importance of the Ulu Muda Forest Complex as a crucial water catchment forest and why WWF is advocating to protect this forest complex. (From left) Ms Thing Siew Shuen, General Manager of Penang Green Council; YB Tuan Phee Boon Poh, State Executive Councillor for Welfare, Caring Society and Environment; Dr Henry Chan, Conservation Director of WWF-Malaysia; YAB Tuan Chow Kon Yeow, Chief Minister of Penang; YB Yeoh Soon Hin, State Exco for Tourism Development, Heritage, Culture and Arts; YB Jason H'ng Mooi Lye, Jawi assemblyman at the media conference for Earth Hour 2019 in Penang.